Is your perennial garden beginning to look more like a jungle than a garden? Are a few garden thugs taking over smaller plants? Do some perennials just look out of place? September is a great time to do some rearranging in the garden. The weather has cooled, the soil is still warm and you can recognize where the plants are. As a general rule of thumb, perennials that bloom in the spring can be moved before the end of September while those that are blooming now are best moved in the spring. Like many “rules” in gardening, however, they are meant to be broken, or at least liberally interpreted by the gardener. To divide an herbaceous perennial clump, water the plant and its new site well the day before you plan to move them. Add a little compost to the new site but skip any other fertilizer until spring. 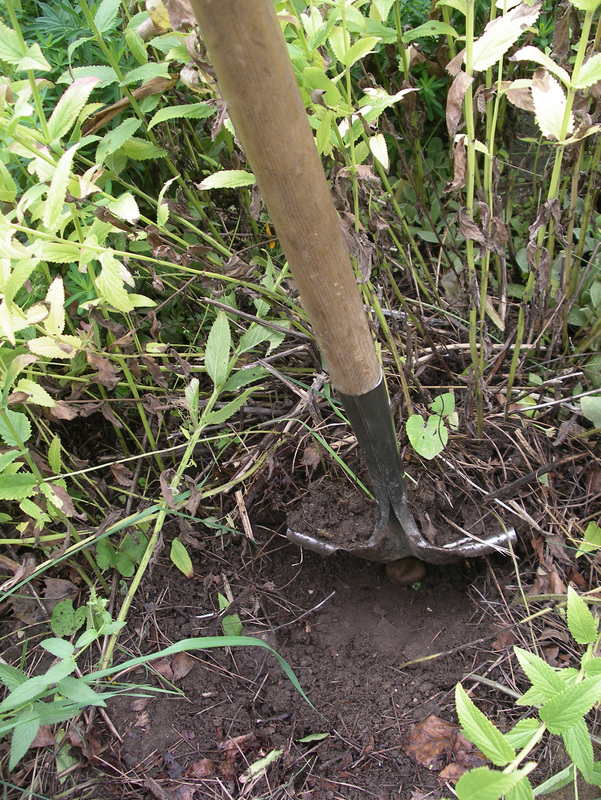 At moving time, work around the plant with a shovel to loosen the roots and end by inserting the shovel in to the center of the clump to break it in two. Set the plant in the ground at the same level it was originally, backfill with dirt, and water it well. Mulch the transplanted plant well with pine needles, bark or straw to prevent frost heaving over the winter. A few perennials, like candytuft, basket of gold, lavender and hellebores, resent being moved, so it’s better to leave them be and move other plants around them. Early fall is the best time to move peonies, Oriental poppies and spring blooming bulbs like daffodils, tulips and hyacinths. Dig bulbs gently with a shovel or digging fork. Discard any damaged ones and replant at the same depth where you want them. Mark where you plant them so you don’t dig into them later by mistake. Peonies don’t need to be moved unless they are getting crowded, shaded out or you want them somewhere else. To move established plants, first water the plant well the night before so the soil is easy to work. Prepare your new site by loosening the soil and adding some compost. Begin loosening the roots gently about a foot out from the edge of the plant and working your way around the plant. Place it, foliage and all, in its new hole so that the growth buds at the base of the crown are at the soil surface. If peonies are planted too deep they will be slow to rebloom, if at all. Oriental poppies are moved by locating the now-dormant plants and carefully digging out some of the long, fingerlike roots with a section of the crown attached from the plant. The growing buds are here. Replant the root and crown section at the same level it was and water well. It may take a couple of years for the plant to recover and bloom, so be patient. Pat Munts is a Master Gardener who has gardened the same acre in Spokane Valley for 30 years. She can be reached by e-mail at pat@inlandnwgardening.com.